A good Biosecurity Plan can be drawn up at farm level by assessing the risks posed by the movement of stock, personnel and vehicles onto farms. Your Vet can advise you on precautions and risks involved in purchasing stock, especially stock bulls. 1. Placing footbaths at the farm and dairy entrance. 2. Having footbaths at calving house and calf house entrances will prevent disease spread within a farm. 3. Clean out water troughs in fields prior to the start of the grazing season. 4. Keep boundary fences in good repair and prevent nose to nose contact with neighbouring stock. 5. Keep vermin under control. 6. Do not stress stock by under feeding or having poor husbandry practices. 7. Parasite control needs to be timely and appropriate for your farm. 8. Be careful not to introduce disease onto your farm when returning from cattle marts, shows, farm events etc. 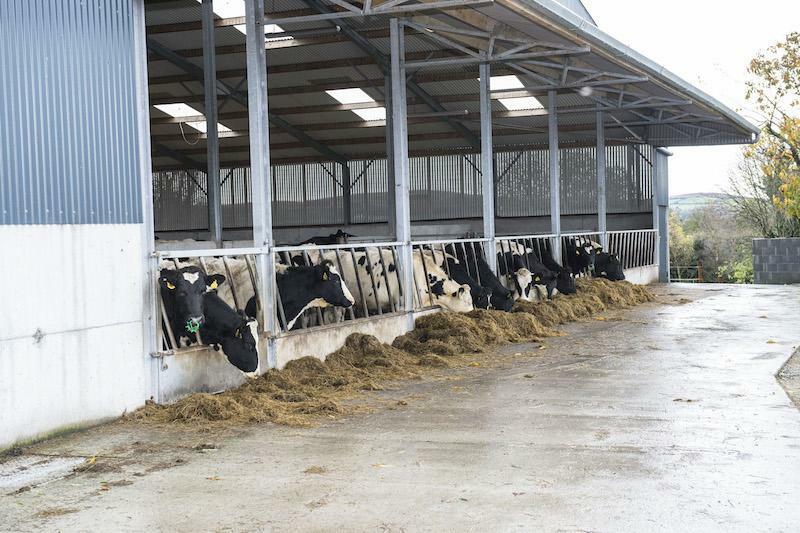 • Routines which include more regular acid cleaning (C, D) are highly effective in maintaining low bacterial numbers on any size milking system; however this system is more suited to plants with automatic wash systems for safety reasons. • Liquid products are more suitable than powder products where automatic cleaning is in place. • Cold wash systems (B, C) require a higher working solution of sodium hydroxide and require increased contact time to be effective as they do not contain a sterilizer (chlorine). • Non-chlorine systems eliminate the risk of chlorine residues. However higher product usage rates, hot water and more regular acid cleaning are required. Key point: There are several different types of wash routines. Whatever system you choose, make sure a set routine is known and followed by all milkers. Ensure you measure and use the products as per the manufacturer’s instructions. 4. Circulate the solution for 8-10 min; allowing first 5 litres to run to waste. Solution may be retained for the second daily wash. Leave the stain of the solution in the milking plant until just before the next milking. Key point: Leave the stain from the caustic, chlorine-free powder in the milking plant until just before the next milking. Do not reuse the solution more than once. -Circulate for 8-10 min; allowing the first 5 litres to run to waste and then discard. Key point: Leave the stain from the morning wash using the liquid detergent (non-chlorine) product in the milking plant until just before the next milking. Immediately rinse the milking plant after the evening liquid acidic cleaner wash.